If you work in manufacturing, we’ve got a product offering that can change your life. Radwell International Ltd. supply replacements of manufacturer’s products, referred to as Radwell Verified Substitutes. This is a unique offering from Radwell and not something that is common to find amongst industrial automation service/parts providers. QUALITY: You’ll be replacing manufacturer’s parts with replacements that are high quality and brand new. These are not refurbished items, but brand new product replacements that you can count on. WARRANTY: All Radwell Verified Substitutes are covered by a 3-year warranty, giving customers a dependable product and a reliable service. COST SAVINGS: You will save significantly by purchasing a Radwell Verified Substitute, compared with the manufacturer’s original. SPEED: Radwell Verified Substitutes won’t leave your operation on hold while you are waiting for delivery. All in stock Verified Substitute items are shipped within 24 hours. 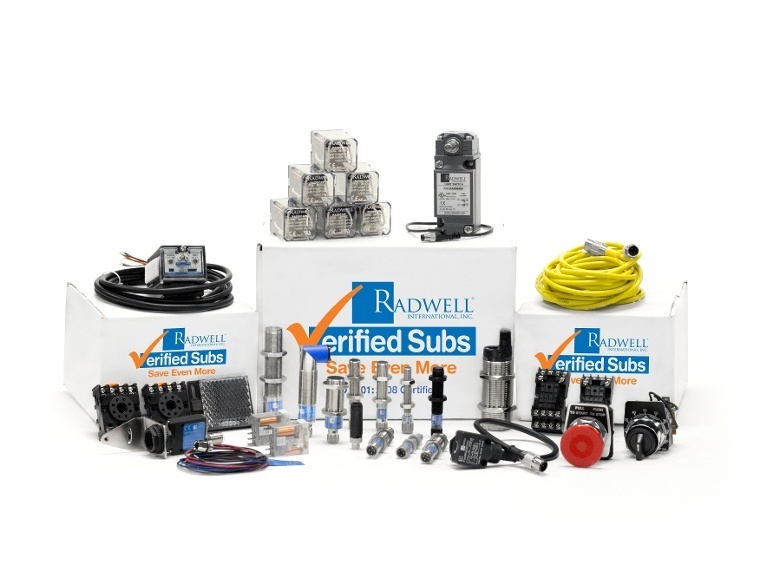 UNIQUE SOLUTIONS: If your operation has unique needs, Radwell Verified Substitutes can be a great solution. We can work with custom requests and we can also help find solutions for obsolete items.